The Houston Dash beat Seattle Reign FC in dramatic fashion on Wednesday night in front of a crowd of 2,376 at BBVA Compass Stadium in Houston as Week 9 in the NWSL kicked off. It’s the second win of the season for the Dash, who are now 2-4-4 (10 points) and in seventh place. The Reign are still in second place, but dropped to 4-2-2 (14 points) with the loss. Veronica Latsko scored the game-winner for the Dash in the second minute of stoppage time, after a long run from Thembi Kgatlana to set up the play. The goal came on a counterattack after the Reign nearly scored the winner on their end of the field. Latsko’s shot deflected off Reign defender Steph Catley and past goalkeeper Michelle Betos to put the Dash up 2-1. It’s the second goal of the season for Latsko, and both have been late game-winners. Her first goal came on May 5 at Sky Blue FC in the 79th minute to give the Dash their first win of the season. Beverly Yanez gave the Reign a 1-0 lead in the 13th minute, cooly tapping home a pass from Jodie Taylor. The Reign, playing their second of three games in eight days, did not start Jess Fishlock and Megan Rapinoe. Rapinoe entered at the start of the second half. The Dash tied the game in the 68th minute when Kristie Mewis capitalized after a Rachel Daly free kick. The Dash earned the set piece after Kristen McNabb was issued a yellow card for a foul on Nichelle Prince. The Dash will next be in action on Sunday vs. the Spirit, their third game in nine days. The Reign will head to New Jersey to take on Sky Blue FC on Saturday night. Match ends, Houston Dash 2, Seattle Reign 1. Second Half ends, Houston Dash 2, Seattle Reign 1. Attempt blocked. Thembi Kgatlana (Houston Dash) right footed shot from outside the box is blocked. Assisted by Rachel Daly. Thembi Kgatlana (Houston Dash) wins a free kick on the left wing. Goal! Houston Dash 2, Seattle Reign 1. Veronica Latsko (Houston Dash) right footed shot from outside the box to the bottom left corner. Assisted by Thembi Kgatlana. Attempt blocked. Megan Rapinoe (Seattle Reign) right footed shot from the centre of the box is blocked. Thembi Kgatlana (Houston Dash) wins a free kick in the defensive half. Attempt missed. Jodie Taylor (Seattle Reign) right footed shot from outside the box is close, but misses to the right. Assisted by Megan Rapinoe with a headed pass. Offside, Seattle Reign. Rumi Utsugi tries a through ball, but Jodie Taylor is caught offside. Attempt missed. Rumi Utsugi (Seattle Reign) left footed shot from the left side of the six yard box is high and wide to the left. Assisted by Jodie Taylor. Attempt missed. Jasmyne Spencer (Seattle Reign) header from the centre of the box misses to the left. Assisted by Lauren Barnes with a cross. Attempt blocked. Megan Rapinoe (Seattle Reign) left footed shot from outside the box is blocked. Assisted by Allie Long. Attempt blocked. Linda Motlhalo (Houston Dash) right footed shot from outside the box is blocked. Assisted by Lindsay Agnew. Attempt missed. Jodie Taylor (Seattle Reign) header from the centre of the box is close, but misses to the left. Assisted by Megan Rapinoe with a cross. Attempt blocked. Rumi Utsugi (Seattle Reign) left footed shot from outside the box is blocked. Attempt missed. Kristie Mewis (Houston Dash) left footed shot from outside the box misses to the left. Attempt saved. Rachel Daly (Houston Dash) right footed shot from outside the box is saved in the centre of the goal. Assisted by Janine van Wyk with a cross. Attempt blocked. Kyah Simon (Houston Dash) right footed shot from the centre of the box is blocked. Attempt saved. Kyah Simon (Houston Dash) right footed shot from outside the box is saved in the top centre of the goal. Assisted by Linda Motlhalo. Attempt saved. Jodie Taylor (Seattle Reign) left footed shot from the right side of the box is saved in the centre of the goal. Assisted by Jasmyne Spencer. Attempt missed. Morgan Andrews (Seattle Reign) right footed shot from outside the box is close, but misses to the left. Assisted by Megan Rapinoe. Goal! Houston Dash 1, Seattle Reign 1. Kristie Mewis (Houston Dash) left footed shot from the centre of the box to the bottom right corner following a set piece situation. Attempt blocked. Kristie Mewis (Houston Dash) header from the centre of the box is blocked. Assisted by Rachel Daly. Kristen McNabb (Seattle Reign) is shown the yellow card for a bad foul. Attempt missed. Veronica Latsko (Houston Dash) header from the right side of the six yard box is too high. Assisted by Kristie Mewis with a cross following a corner. Attempt blocked. Veronica Latsko (Houston Dash) left footed shot from the centre of the box is blocked. Attempt saved. Veronica Latsko (Houston Dash) left footed shot from the right side of the box is saved in the centre of the goal. Assisted by Nichelle Prince. Substitution, Seattle Reign. Morgan Andrews replaces Nahomi Kawasumi. Attempt missed. Alyssa Kleiner (Seattle Reign) left footed shot from the right side of the box misses to the right. Assisted by Allie Long. Attempt saved. Linda Motlhalo (Houston Dash) right footed shot from outside the box is saved in the top centre of the goal. Assisted by Lindsay Agnew. Attempt saved. Megan Rapinoe (Seattle Reign) right footed shot from outside the box is saved in the centre of the goal. Assisted by Allie Long with a headed pass. Substitution, Houston Dash. Lindsay Agnew replaces Kimberly Keever. Offside, Seattle Reign. Stephanie Catley tries a through ball, but Jodie Taylor is caught offside. Attempt missed. Allysha Chapman (Houston Dash) left footed shot from the right side of the box is close, but misses to the left. Attempt missed. Beverly Yanez (Seattle Reign) right footed shot from outside the box is close, but misses the top left corner. Assisted by Nahomi Kawasumi. Offside, Houston Dash. Kristie Mewis tries a through ball, but Amber Brooks is caught offside. Attempt blocked. Kristie Mewis (Houston Dash) header from the centre of the box is blocked. Assisted by Rachel Daly with a cross. Second Half begins Houston Dash 0, Seattle Reign 1. Substitution, Seattle Reign. Megan Rapinoe replaces Elizabeth Addo. First Half ends, Houston Dash 0, Seattle Reign 1. Corner, Seattle Reign. Conceded by Kimberly Keever. Attempt blocked. Jodie Taylor (Seattle Reign) right footed shot from outside the box is blocked. Assisted by Allie Long. Attempt missed. Beverly Yanez (Seattle Reign) right footed shot from the centre of the box is too high. Assisted by Nahomi Kawasumi with a cross. Foul by Linda Motlhalo (Houston Dash). Attempt missed. Allie Long (Seattle Reign) header from the centre of the box is too high. Assisted by Nahomi Kawasumi following a set piece situation. Elizabeth Addo (Seattle Reign) wins a free kick in the attacking half. Attempt missed. Rumi Utsugi (Seattle Reign) right footed shot from outside the box is close, but misses to the left. Hand ball by Elizabeth Addo (Seattle Reign). Attempt saved. Jodie Taylor (Seattle Reign) left footed shot from outside the box is saved in the centre of the goal. Assisted by Lauren Barnes. Attempt missed. Rachel Daly (Houston Dash) right footed shot from outside the box is high and wide to the right. Assisted by Nichelle Prince. Attempt missed. Kealia Ohai (Houston Dash) left footed shot from the right side of the box misses to the left. Assisted by Nichelle Prince. Michelle Betos (Seattle Reign) wins a free kick in the defensive half. Offside, Seattle Reign. 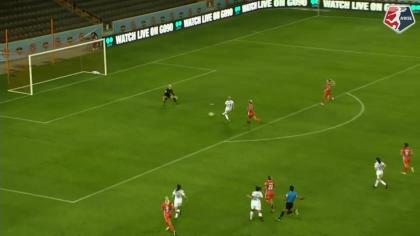 Allie Long tries a through ball, but Jodie Taylor is caught offside. Goal! Houston Dash 0, Seattle Reign 1. Beverly Yanez (Seattle Reign) right footed shot from the centre of the box to the bottom right corner. Assisted by Jodie Taylor. Attempt blocked. Jodie Taylor (Seattle Reign) right footed shot from the centre of the box is blocked. Assisted by Nahomi Kawasumi with a cross. Attempt saved. Allie Long (Seattle Reign) header from the centre of the box is saved in the top centre of the goal. Assisted by Nahomi Kawasumi with a cross. Attempt missed. Rachel Daly (Houston Dash) right footed shot from outside the box is just a bit too high. Assisted by Kristie Mewis. Offside, Seattle Reign. Rumi Utsugi tries a through ball, but Elizabeth Addo is caught offside. Attempt saved. Jodie Taylor (Seattle Reign) right footed shot from the centre of the box is saved in the top centre of the goal. 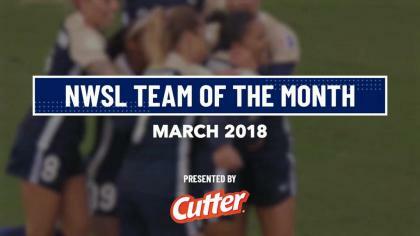 Assisted by Stephanie Catley.